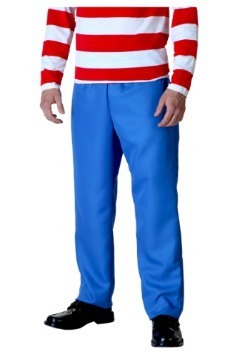 No need to search high and low for Waldo this year! We have what you're looking for right here! 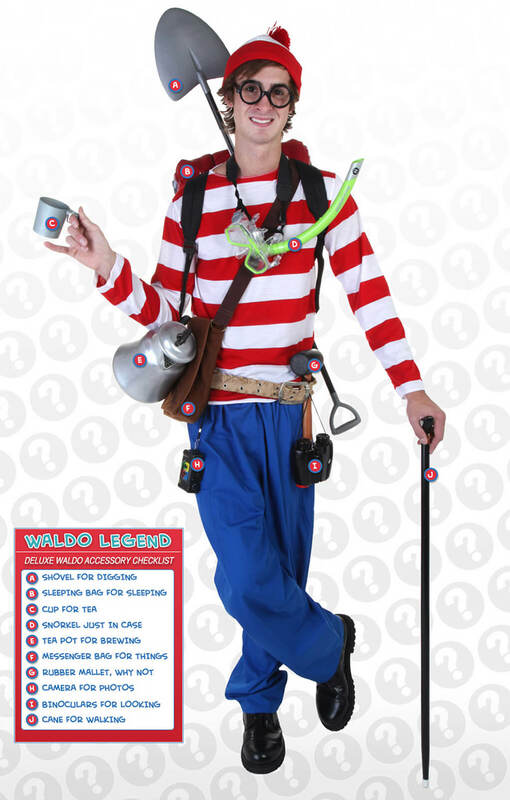 From adult Where's Waldo costumes to kids Waldo costumes, we have a look that will turn you into the iconic character for Halloween. 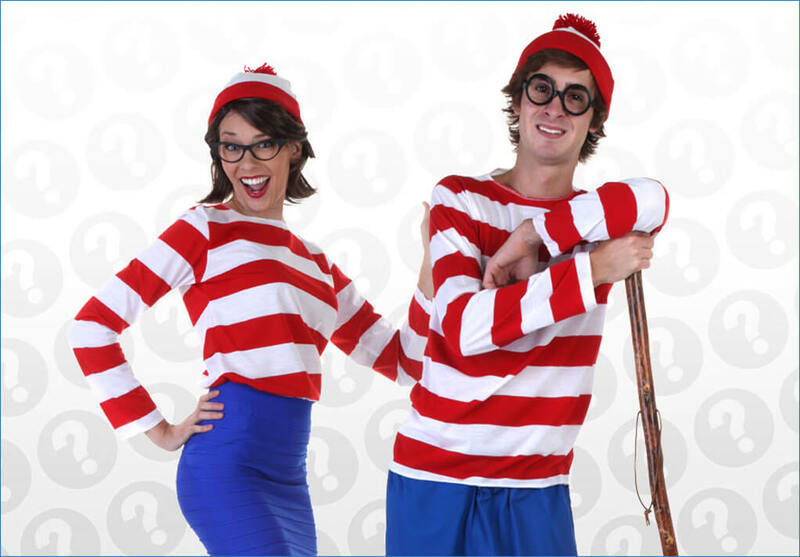 We also have Wenda costumes that go great with a Waldo for a fun couples costume. Get a whole group together for a night of fun! In 1987, illustrator Martin Handford created a children's book that introduced us to a whimsical world traveler named, Waldo. 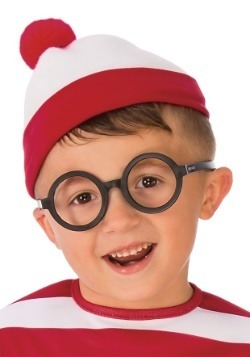 Distinctly dressed in a red and white striped shirt, a matching bobbled hat, black-rimmed glasses and a pair of jeans, Waldo is instantly recognizable ... if not always easy to find. That's how "Where's Waldo?" was born! Of course, behind every great adventurer there's often another adventurer with the ability to ask for directions... 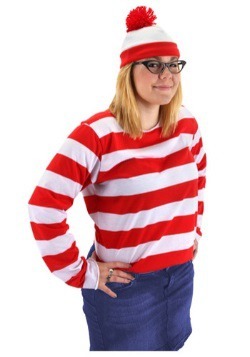 In this case, that's Wenda, Waldo's main squeeze! If you're the kind of couple who doesn't like to stay in one place too long, consider trying this jet-setting duo on for size when you say, "trick-or-treat." You searched high and low for the perfect couples costume this Halloween, and now it has been found. 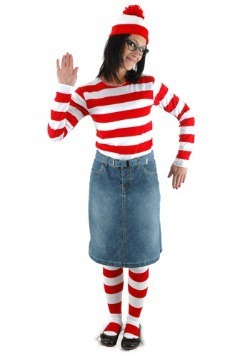 When Waldo and Wenda get together, a good time is guaranteed (and so are many requests for photos). For years, they've embarked on long journeys through time and space, but not without getting lost on occasion. This confident pose says, "I'm checking out my surroundings ... there is a lot going on here that isn't on the map." 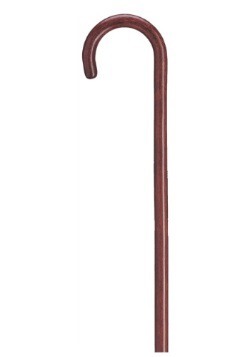 Hanging on to your walking stick while shielding your eyes adds an extra layer of "call of the wild" flair. 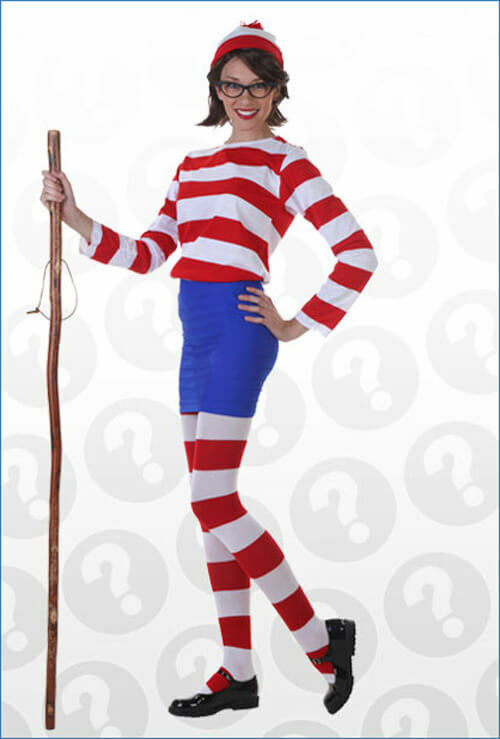 Wenda is Waldo's current girlfriend. He started off dating her twin sister Wilma, but Wilma was never found again after The Magnificent Poster Book - which is when Wenda was first introduced. Coincidence? Well no matter the dark deeds Wenda may or may not have done to get her man, things have worked out well for them. Of course, she doesn't have Wilma's knack for nicknames, but as an avid photographer, Wenda has captured all of their discoveries on film. When she's not taking pictures, you can find Wenda chasing after her OTHER faithful companion: Woof, the dog! 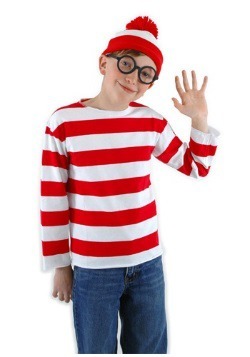 In England (where Waldo's story was first drawn), his name is Wally. But depending on where you live, his name varies slightly. France calls him, Charlie. Germany prefers, Walter. 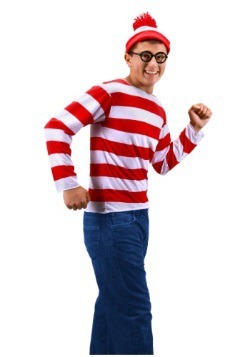 In North America, however, we have come to know and love him as, Waldo! In the first book, Waldo travelled solo, and came prepared for everything... even afternoon tea (naturally)! 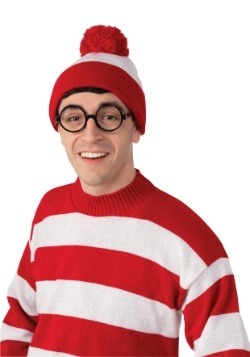 In subsequent books though, Waldo began to cultivate a close network of friends that he shared his adventures with. 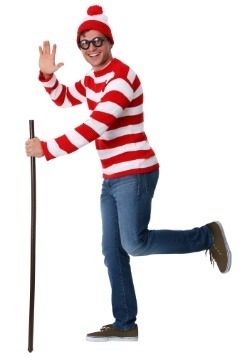 A happy-go-lucky fella, Waldo is almost never seen without his trusty walking stick. As any good travel agent will tell you, it doesn't matter how you start your trip, what matters is how you finish. Waldo and Wenda have undoubtedly weathered all of the ups and downs of exploring the universe: Bad airplane food, lost luggage (among other things! ), uncomfortable hotel beds ... these things haven't broken their bond they've strengthened it! Whether they are hanging out at Napoleon III's house party, getting into mischief on the set of a big Hollywood production, or learning Norse code in a Viking village, one thing is for absolute certain: Wherever they may roam, Waldo and Wenda are better together. No matter if he's on the beach, skiing down the bunny hill slopes or just hanging out at a county fair, good ol' Wally comes prepared for anything. In addition to his messenger bag, he always carries a walking stick, kettle, mallet, cup, sleeping bag, binoculars, camera, snorkel and shovel – one of which he will, inevitably, lose on each journey. 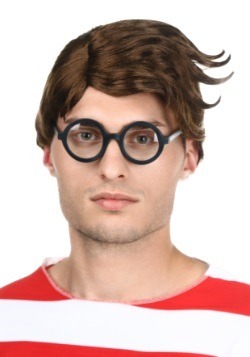 When you look through the pages of a "Where's Waldo?" book, your job is not only to find Waldo and his missing item, but also to go back to the beginning and re-explore each of the scenes. 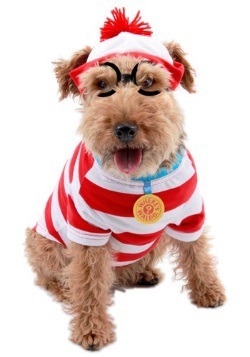 The checklists at the end will give you other objects and characters to locate – such as Odlaw (Waldo's nemesis), Woof (his dog), Wizard Whitebeard and The Wally Watchers. 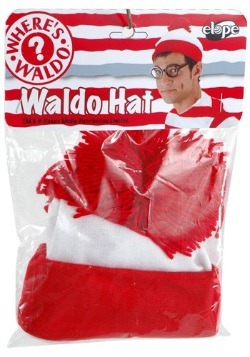 Use this handy guide to create an incredibly authentic Waldo look (a hefty travel budget, on the other hand, is not included). 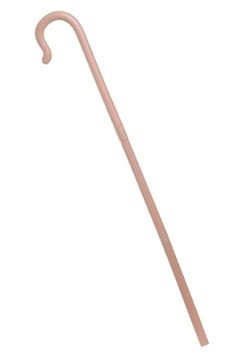 One of Waldo's favorite destinations is the beach, but this tool isn't just for building sandcastles. What if Woof gets buried in an avalanche out in the backcountry or the rental car gets stuck in the snow? It also comes in handy for digging a quick latrine. Basically, if something needs to get buried or unburied, you will be grateful to have it at the ready (even if it is cumbersome to carry under the hot, summer sun)... did we mention that we're still unsure of Wilma's whereabouts? Have you ever slept on the ground in the middle of the woods? Even if you find a patch of grass, one thing will be abundantly clear by morning: Modern man was not built for "roughin' it." Luckily, there's no need to make like Bear Grylls on your adventure. And if you REALLY want to go that route, why start with your slumber? Toss the teacup and keep the good night's rest. A cozy sleeping bag is just what the doctor ordered after a long, hard day of hiding in plain sight. It's lightweight, easy-to-pack and your chiropractor will thank you. Wally's no fool! He is well aware of the fact that resorts charge big money for scuba gear rental. Plus, people spit inside those goggles to prevent them from fogging. That's right, the next time you slip a rented snorkel on your face, just remember that someone put their mouth on the breathing apparatus AND spit where your eyes are going. Does the rental company clean them after each use? Who knows?! 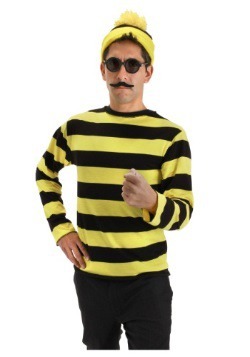 Either way, Waldo's odd choice in gear doesn’t seem so eccentric anymore, does it? At first you might be thinking: I could live forever without a cup of tea. Why should I carry this oddly shaped thing around with me everywhere? Hold it right there, Slick. This kettle does way more than create crumpet accompaniment. First of all, something has to brew your coffee. If you could live forever without coffee then you're doing better than the rest of us. Still, it also cooks stuff. You eat, don't you? Stews and soups simmer great in here! Oh, and most importantly, it boils your water so that there are less bear germs in it for you. While Waldo does a great job of tying items to his clothing, he COULD just stuff everything inside this handy messenger bag. But then we couldn't see it, and that's part of the fun! We can only presume, then, that he uses it to collect souvenirs from his travels. Or he just carries it around, which would be kind of weird. 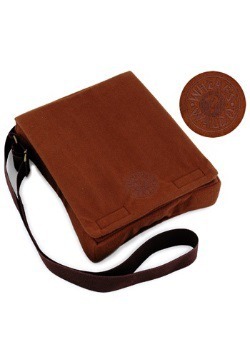 When YOU are at a Halloween party, the messenger bag is super convenient for holding your cellphone and any of the equipment that makes it hard for you to mix and mingle. A rubber mallet seemed like an odd choice at the start because we never see Waldo pitch a tent (and if you ever tried to get tent stakes into frozen earth without a mallet, you'll know just how "essential" a mallet is). But because Waldo has been on the run for decades now, we've made the bold presumption that there's a tent stored inside his messenger bag. You're a multitasker. So if you were to set out on a lifelong journey, you'd probably bring your phone, right? Communication, navigation and preservation (photos) all in one convenient device! When Waldo was first drawn onto his scene, cell phones did not yet feature cameras. As a matter of fact, the creator of Instagram wasn't even in Kindergarten! Still, when you trek billions of miles, it's important to capture memories of the places you visit and the people you meet. 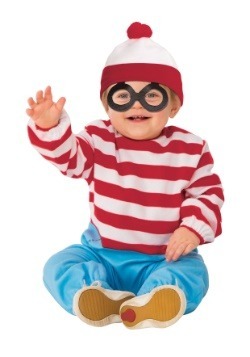 In short: Your Waldo costume NEEDS a camera so his travel scrapbooks can continue to put Frommers to shame. You may use your binoculars for bird watching ... or even neighbor watching (we're talking to you, Ms. Nelson). Waldo uses his binoculars for two main objectives. 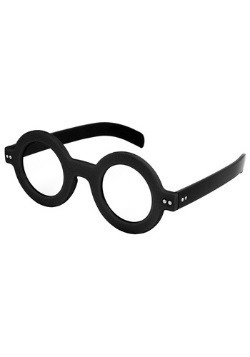 First, a good pair of magnifiers makes it easier for him to spot trouble or impending doom. From an animal stampede to a giant sea swell, Wally's never the guy who says, "I didn't see that coming!" 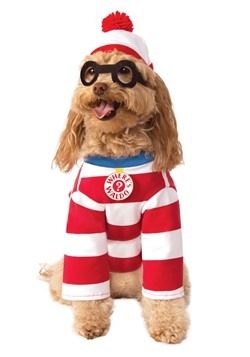 Second, it makes it MUCH easier to locate Wenda, Woof or even Odlaw in a crowd! Give it a try yourself. 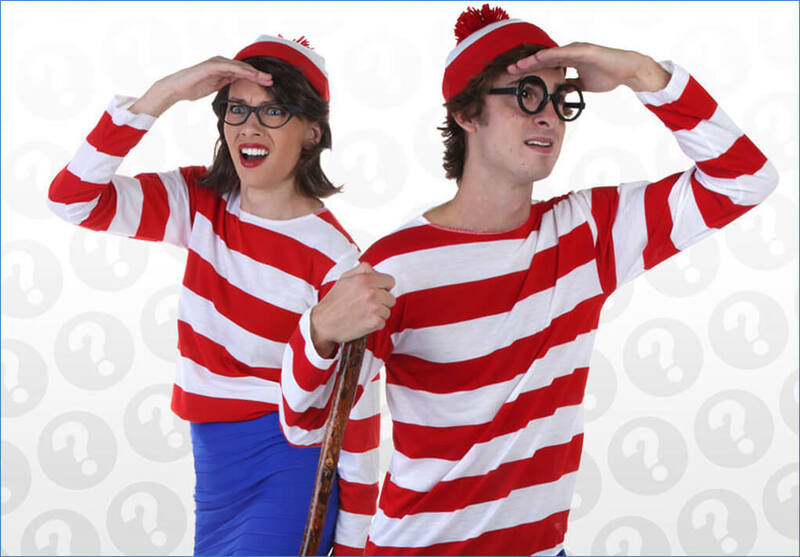 Use a magnifying glass on your next Where's Waldo hunt and see if you can find him faster. 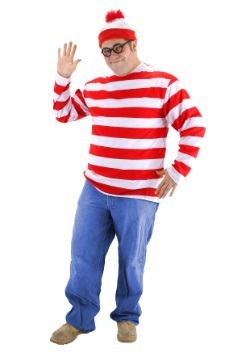 Is Waldo old and decrepit? 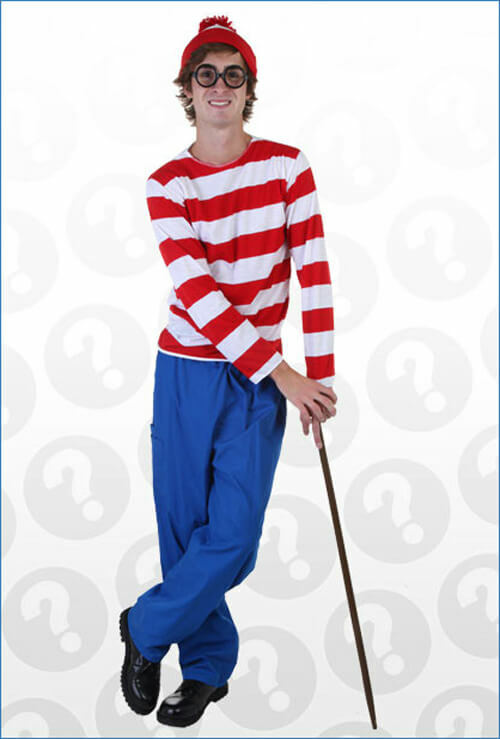 Martin Handford never stated Waldo's age, but it's probably a good bet that he uses the cane to navigate rough terrain. Whether he's on rocky hiking trails in the Smokies, swamp grass on the Bayou or slippery sand in the desert, Waldo's walking cane sees him through it all. When combined with his trusty hiking boots, there's no mountain high enough ... no valley low enough ... and really, no river wide enough to keep him from getting onto the pages of his next adventure. Did we mention that it's magical? That probably also helps. 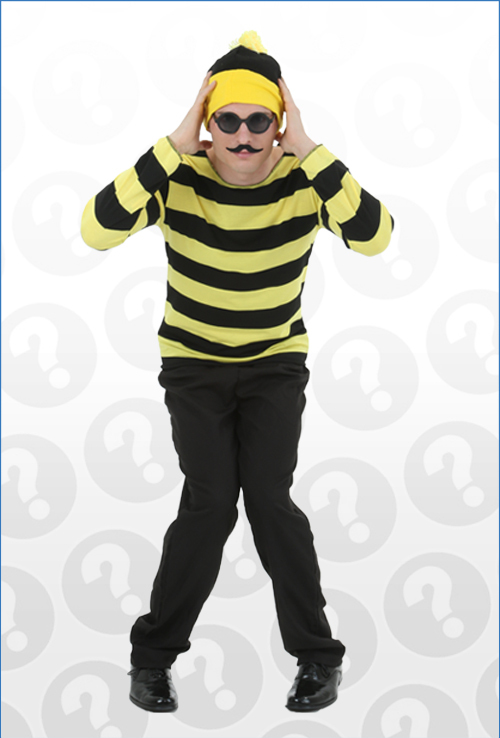 It's not easy to be the villain in a beloved puzzle book, but it sure is fun! 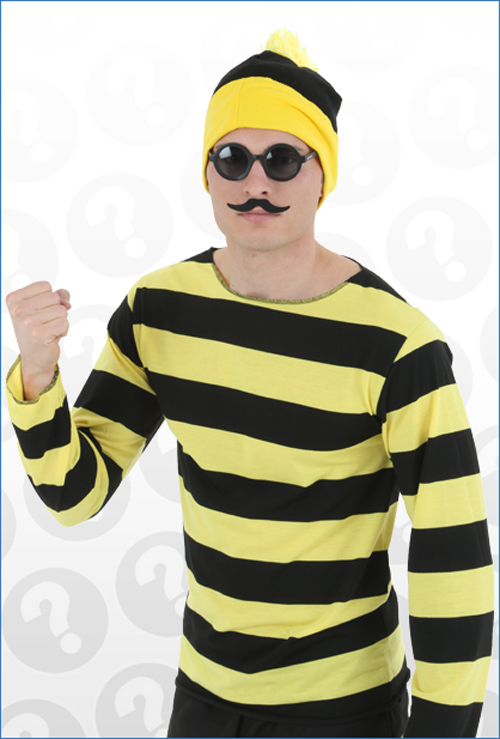 Odlaw (which spells "Waldo" backwards) has been Waldo's nemesis since 1991. 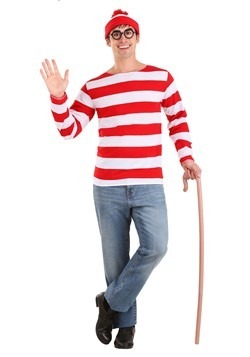 His mission: To retrieve Waldo's magic walking stick by any means necessary. 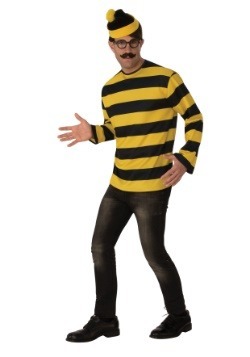 Therefore, if Waldo hangs out in a land of unfriendly giants, for example, so must Odlaw. 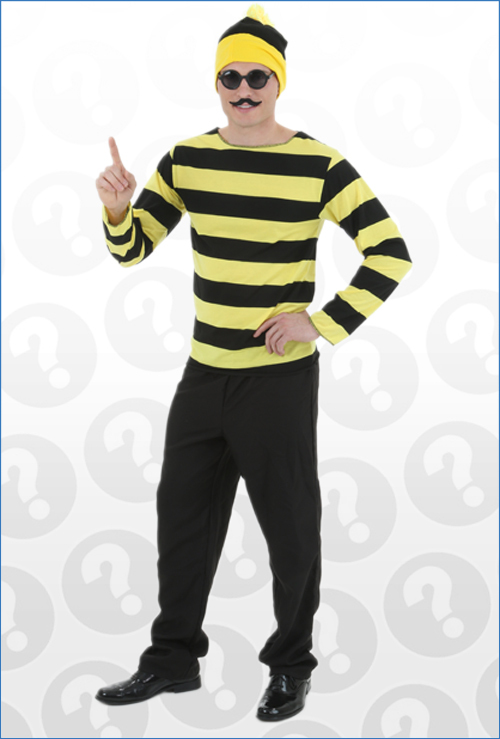 Because he dons black and yellow stripes instead of red and white, you might think that Odlaw is Waldo's evil twin... but it's not his clothes that make him an anti-Waldo - it's his behavior! Odlaw is described as "mean, nasty, loathsome and disgusting..." He also has an awesome moustache. We told you being Odlaw would be a good time! Below is a helpful guide to get you posing for the part! This is the look Odlaw is famous for (it mimics how he appears in the storybooks)! Simply take a step forward and swing your arms to make it look like you're walking. 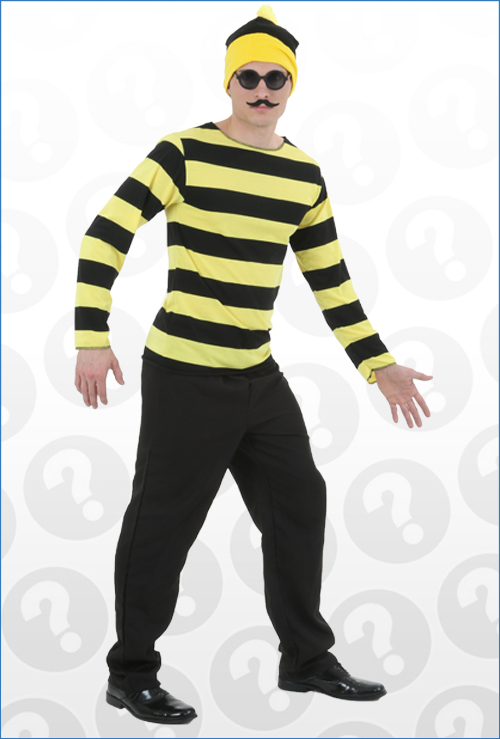 This pose says that you're confident and subscribe to the philosophy: "Why blend in when you were born to stand out?" It also says: "I lost my binoculars again." 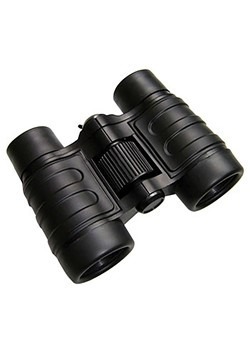 Seriously, Odlaw, why do you ALWAYS lose your binoculars? Every scene. Every book. You'd think, by now, you’d have a system for keeping track of them... or a backpack to store them in... something? Hold on to your hat (and buckle your knees) because there's only one way this story is going to end: Odlaw is going to fail at his mission. It happens every time. The rest of Waldo's possessions are up for grabs (he loses at least one in every scene), but he's got a vice grip on that cane. On the bright side, you get to go on every adventure that Waldo goes on (even if you never get your hands on the prize), so maybe this is just one of those things where you have to enjoy the journey and forget about the destination?